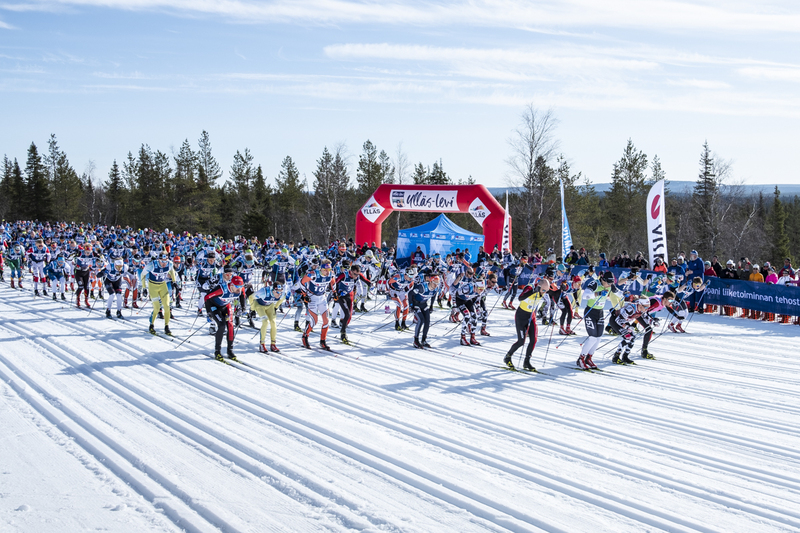 The last event of the Visma Ski Classics Season IX is only a few days away. The race will take place this Saturday, and the final preparations are well under way. The conditions are perfect, and our pro skiers have just finished Reistadløpet in Norway and moved to Finnish Lapland. Ylläs-Levi has quickly become one of the most popular and respected races among the elite and amateur skiers. The great course, breathtakingly beautiful scenery and the magic of Lapland are again bringing the record number of participants to enjoy the wonderful event. Last year’s winner Andreas Nygaard, Team Ragde Eiendom, says that Ylläs-Levi is the best place to finish a long and taxing season. He also thinks the course is one of the best in the pro tour, and he wishes to face a hard competition from the Finnish National Team members, of whom the World Champion and the Olympic Gold medal winner Iivo Niskanen, Team Mäenpää, is again putting up a good fight against the double-poling experts. There is still time to take part in Ylläs-Levi, and the chief of course and a former elite skier Mikko Koutaniemi is convinced that this year’s race will be the best so far. Mikko is just about to start his hectic final week before the D-day, but luckily everything is in order and no mishaps or problems are in sight. Hence, he had some time to sit down and answer our questions and tell us why Ylläs-Levi is the perfect way to finish the winter season. How are the final preparations proceeding when we have only less than a week before the race? What kind of a race are you expecting for this time as this is the third consecutive year? From a former elite skier’s perspective, how would you describe the Ylläs-Levi race course? You have participated in other Visma Ski Classics events, but what are the best assets that Ylläs-Levi can offer? How is your work as the chief of course and what are your duties? Can you describe us your day just before the race? What is the importance of Ylläs-Levi for the surrounding region? What tips would you like to give to Ylläs-Levi participants? “The race is demanding, but it is also rewarding. When you cross the finish line, you will feel extremely proud of yourself. Just remember to pace yourself, have good skis and get enough energy and drinks during the race. Start the race with your own pace. If the elite skiers go double-poling, that may not be the way for you. Make sure you have sufficient clothing on you, don’t put too much clothes on as you need to avoid unnecessary perspiration. You can feel a bit cold at the start, but by the time you reach Kukastunturi, you will feel warm!